Crown Heights, Brooklyn, NY (October 11, 2018) – A tragic accident involving a pedestrian and a New York City sanitation truck claimed the life of a 37-year-old man on Thursday morning, October 11. The deadly incident was reported to have taken place at around 7:30 a.m. at the intersection of Eastern Parkway and Brooklyn Avenue in the Crown Heights section of Brooklyn. There has been no word pertaining to the events that caused the victim to become struck by the large truck at this time. Police along with paramedics were immediately called to the scene to assist the victim. Unfortunately, the man was pronounced dead at the scene of the accident. The driver of the truck did not flee as they were reported to have remained on the scene following the incident. 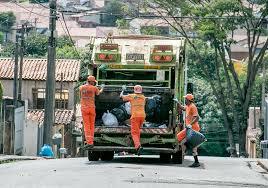 The Department of Sanitation stated that they are fully cooperating with the authorities and the investigation. No more information has been made available. The NYPD is currently in charge of the investigation. Before anything else, we would like to offer our sincerest and most heartfelt condolences to the victim of this tragic accident. Many times, a New York pedestrian accident can result in catastrophic injuries or death, especially when the victim is struck by such a large vehicle. At this time, it is crucial for loved ones of the victim to realize that they have rights. An experienced and compassionate New York accident attorney can help guide you along the often complicated path toward compensation for your loss. At Hach & Rose, we are entirely devoted to helping the members of our community by assisting victims and their loved ones in any way we can. We are proud of our passion for holding negligent drivers and other entities accountable. If you have lost a loved one in a New York accident, please don’t hesitate to call 212-779-0057 today.